After our big trip in Asia, we spent a further 15 months travelling in South America and absolutely loved it. Most countries are extremely gay friendly, with places like Bogota in Colombia home to the largest club we've ever seen – Theatron; and Sao Paolo Pride attracting over 3 million people making it the largest pride event in the world. The Galapagos are an archipelago of volcanic islands in the middle of the Pacific Ocean, around 600 miles (1,000km) from Ecuador’s coast. This is one of the few places in the world where you can get incredibly close to wildlife. There's also a rich underwater world to discover – we saw sharks, rays, turtles and many tropical fish each time we went snorkelling. For us, our Inca Trail to Machu Picchu was a definite highlight of South America. It's a tough 4-day trek through the Sacred Valley, reaching altitudes of up to 4,215m (13,828 ft). 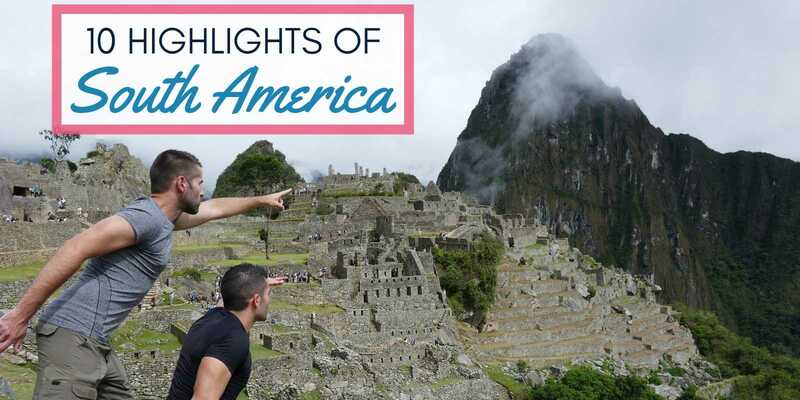 The real highlight, of course, is on the final day when you finally reach Machu Picchu. Dancing tango as a gay couple was one of our favourite memories. It's very romantic! At its inception in the 1880s, the tango was danced between 2 men. It was particularly popular amongst the Italian immigrants in Buenos Aires (Argentina) and in Montevideo (Uruguay). The tango is also a UNESCO listed Cultural Heritage following a successful joint application by Argentina and Uruguay in 2009. Patagonia is synonymous with adventure and mountaineering. If you love trekking, this should be high up on your bucket list of places to visit in South America. Patagonia has two trekking highlights: Torres del Paine in Chile and El Chaltén in Argentina. Torres del Paine in Chile is a UNESCO World Heritage Site and also voted one of the 8 Wonders of the World by VirtualTourist.com in 2013. The most iconic part is the base of the Paine towers, which has a volcanic lake just in front of it. Theatron in Bogota, Colombia is the largest gay club in South America. It's also the largest gay club we've ever been to! Theatron is a former theatre hall turned into a gay boy’s playground. On Saturday evenings, up to 5,000 come here to party into the early hours. It is split into 13 mini clubs, which are spread over 5 floors. Each one has its own theme, for example one room is devoted to 1980s hits, another to salsa music, there’s one which is men only, one just for women, and many more. We would return to Bogota simply to come and party here again. It was our favourite night out from our trip in South America. For more, check out our gay guide to Bogota. The San Pedro de Atacama desert in North Chile has some of the most stunning landscapes we've ever seen. Our favourite was the Capur Salt Flats, which has a mix of colours all merging into one perfect portrait, with flamingoes adding their unique splash of pink into the background. Another pretty landscape here worth visiting is the Moon Valley (El Valle de la Luna), which also has the Cordillera de la Sal mountain range. Walking in the Moon Valley was unique and quite surreal – it felt like we were exploring the surface of the moon. We based ourselves at the luxurious Alto Atacama hotel, which has terrific, passionate guides who took us to each setting in San Pedro de Atacama. Peru is well regarded for being the culinary capital of the continent. There are many highly rated restaurants in the city, including 3 from The World’s 50 Best Restaurants for 2016: Central in 4th place, Maido in 13th and Astrid y Gastón in 30th. In addition, according to the World Travel Awards, Peru was voted the World’s Leading Culinary Destination for 2016, and has won the award every year since 2012. There are many culinary highlights in Peru you need to try. Some of our favourites include ceviche, pisco sour cocktails, grilled alpaca meat, chaufa (Chinese/Peruvian fusion food), anticucho (chewy cow's hearts) and tacu tacu (Creole inspired rice and beans). Have you ever hiked across a massive glacier before? Nope – neither had we, until we visited the Perito Moreno Glacier near El Calafate in Argentina. This is another highlight from South America not to miss, which you can mix in with your trip to Patagonia. The Perito Moreno Glacier is huge: 35km (22 miles) in length, with a depth of up to 180m (590ft). We hiked across it as part of a tour, which definitely ranks as one of the most unique things we’ve ever done. What could top this? Finishing the tour with a glass of whiskey, with fresh fresh ice from the big giant glacier of course! The Iguazu Falls are a bucket list destination for all travellers visiting South America. It was voted as one of the Seven Natural Wonders of the World by a poll in November 2011. It's a mesmerising experience. You can stand here for hours just marvelling at this sheer force of nature, whilst getting completely soaked from the powerful spray. The Iguazu Falls are located in Northeast Argentina in the Misiones province, straddling the Brazilian border. Most visitors to Argentina make this their main destination after Buenos Aires. We visited Iguazu Falls as part of our road trip in Northeast Argentina. Red wine discoveries was one particular souvenir from our big South America trip, especially Argentinian Malbec and Chilean Cabernet Sauvignon. Now back home in Europe, we pay more attention to the South American section of the red wine shelf in supermarkets. We did many wine tours in Mendoza and Santiago, visiting bodegas and learning more about each grape. Our favourite experience was staying at the luxurious Entre Cielos wine hotel in Mendoza, located in the middle of a large vineyard. We also recommend checking out the Vendimia grape harvesting festival in February/March, which also includes a gay segment called Vendimia Para Todos (meaning “Vendimia for everyone”). 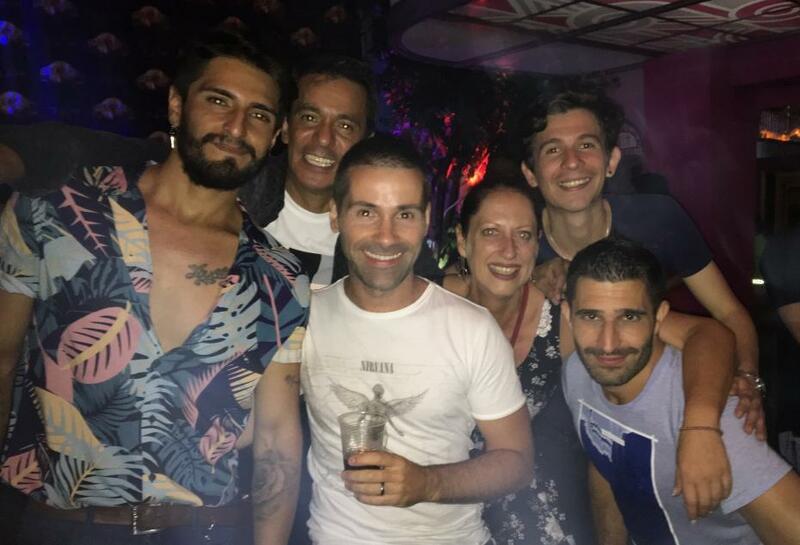 For more, check out our gay guide to Mendoza and also why we think Argentina is one of the most gay friendly destinations. Cool info and videos! You are missing my hometown; Amazing Mexico City! You have to know it! I will read a little more of your Galapaggo´s trip. Going soon!!! Can´t wait…also with my boyfriend!!! 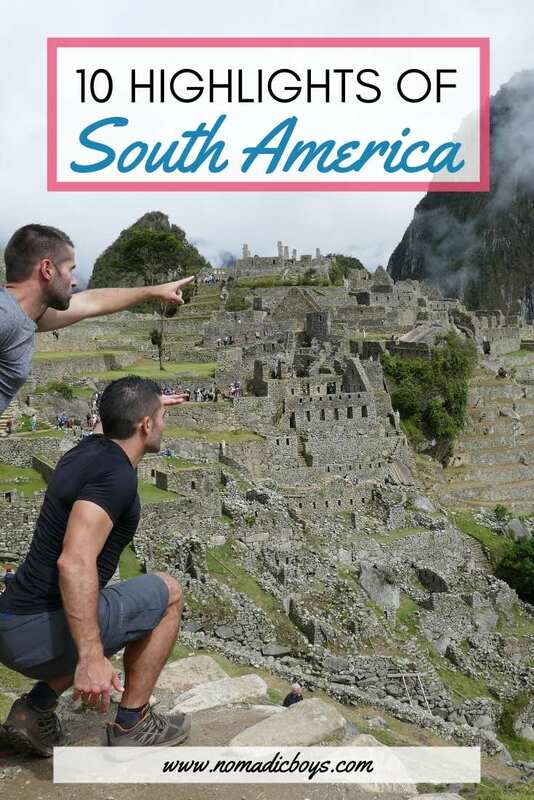 You guys are so lucky, I hope to go to South America some day.